Following in high-profile family footsteps can be a daunting prospect for many offspring, but for every Julian Lennon there’s a Gary Ablett jnr. Jake Hart hopes to fall into the latter category. 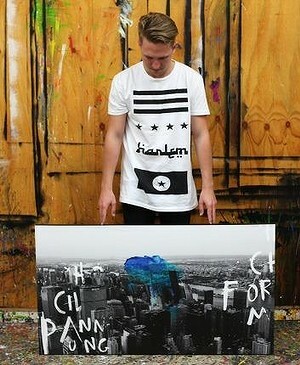 Hart, 22, is the son and grandson of renowned Australian artists David and Pro Hart. Despite his artistic pedigree, Hart said his entrance into the art world was never a lay down misere. “At a young age, being exposed to raw creativity, like seeing my pop [Pro Hart] fire paint out of a cannon on to a canvas or to see my dad [David Hart] put paint on a basketball and chuck it at a painting, being exposed to that certainly had its toll on me,” he said. “They definitively encouraged me in my creativity, but it was never anything they forced. “I did a little bit growing up, like in my teenage years, but it wasn’t until I left home and did graphic design that I found it a real passion for art and creating works that expressed the way I saw the world myself. And find it, Hart did. “I love exploring new things and trying new methods of achieving things. “The way I’d normally approach a piece is there’s an issue I want to explore – and I guess my inspiration is [English graffiti artist] Banksy, because he uses his work to portray a message or a thought and that’s what I want to do with my art. 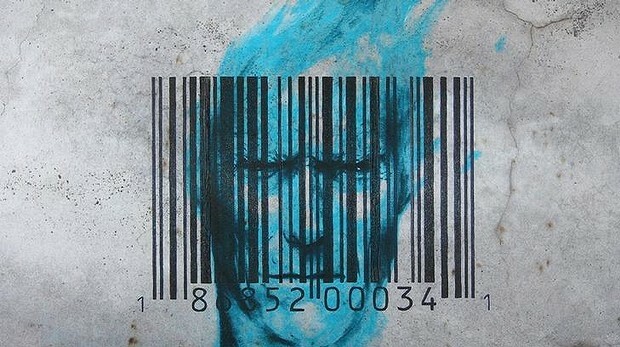 “I’ve got a piece called Breaking The Code, which is of a blue face with a bar code in front of it. That piece is very much about someone who’s lived their life – the bad circumstances are written in his expression – but he never truly found who he was. “He was just a number, another person on the planet, which is the opposite of how we should live. That’s what I’m trying to do, exposing that not knowing who you are. Hart said that having such a famous surname could end up being a double-edged sword, but he was happy to have the Hart head start, even if it does come with a degree of pressure. 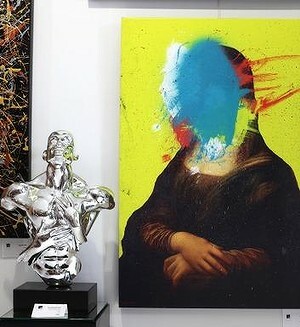 “To be able to just go into the art world, there’s definitely a high expectation there,” he said. “Through school and my whole life I’ve had that expectation that I’d be really good at art and that can be quite scary. “But I see it as a platform to jump off and build on. Looking at their respective artwork, the similarities between Jake, David and Pro Hart do not appear to extend far beyond the name. “My dad and my family are of one set sort of style, where I’ve gone in a completely different style that expresses me,” Jake Hart said. “I think when people look at my work and hear my last name, they think of my dad and my pop and their work. 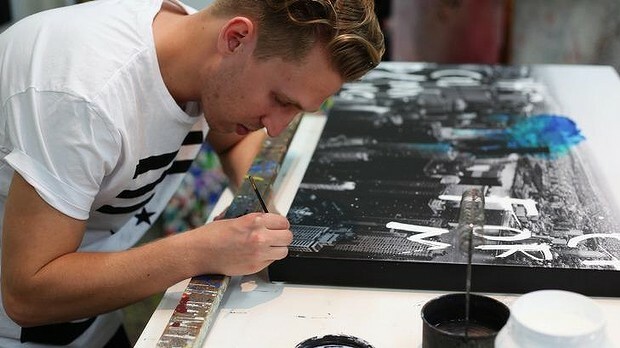 Jake Hart’s artwork is on display at the David Hart Galleries at Noosa and Mooloolaba and on his website.